Autostrada A5 Torino-Aosta. 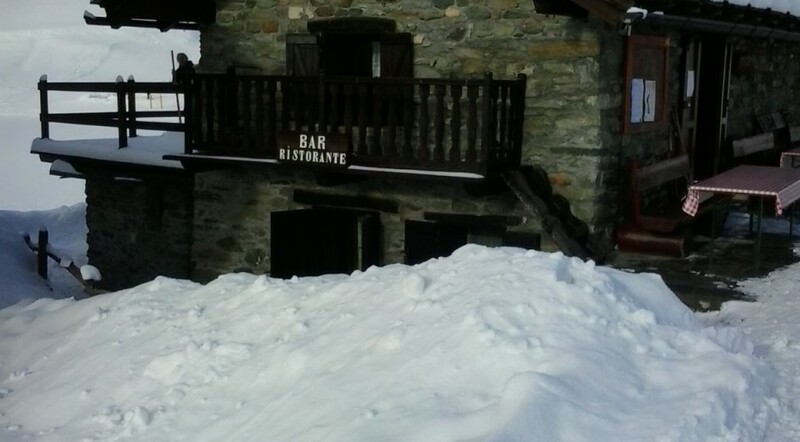 Uscita Châtillon/Saint-Vincent, poi seguire indicazioni per Valtournenche/Cervinia S.R. 46 fino a Buisson (circa 3 km dopo Antey-Saint-André). Si può lasciare l’automobile nel parcheggio (gratuito e sicuro) della funivia Buisson-Chamois. Treno linea Torino-Chivasso-Aosta. Stazione di arrivo Châtillon/Saint-Vincent. Si prosegue fino a Buisson mediante il servizio di autobus Savda (tel. 0165.361244), in partenza dalla stazione di Chatillon in coincidenza con gli arrivi dei principali treni. La corsa dura circa 30 minuti. Autobus si prendono le corse giornaliere Savda e Sadem per Aosta, in partenza da Milano, Torino e Genova, e si cambia autobus all’autostazione di Chatillon. Fermata di arrivo funivia Buisson – Chamois. A Buisson prendere la funivia Buisson-Chamois (costo 2 euro A/R, 5 minuti), con i bagagli. 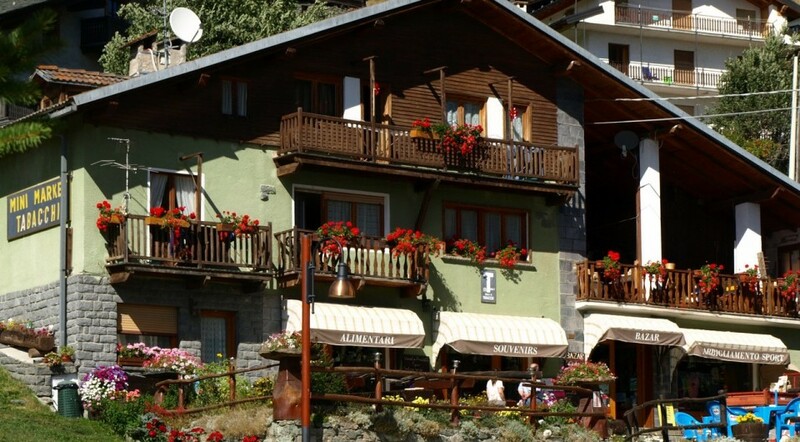 Located at 1815 meters altitude, Chamois is the highest municipality in Valle d’Aosta and one of the highest of Italy; it consists of 7 hamlets: Corgnolaz, where the town hall is located, Cailla, Crepin, La Ville, Lake Lod, and Lieussel Suis. 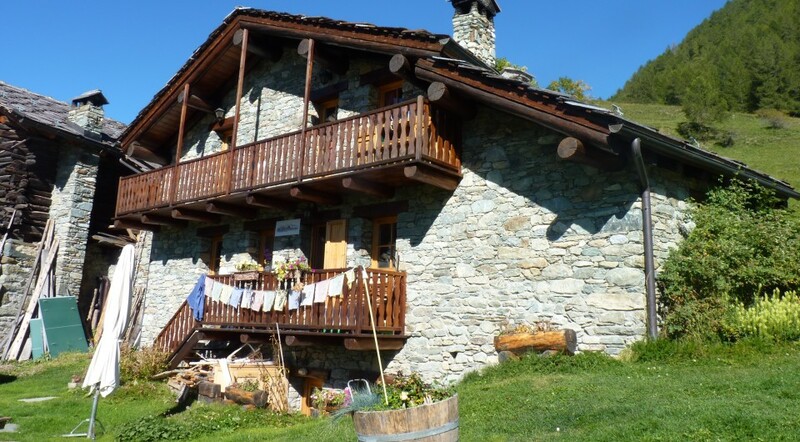 With less than 100 residents, Chamois covers an area of 14 km2 with a population density of 7.14 inhabitants per sq. km. 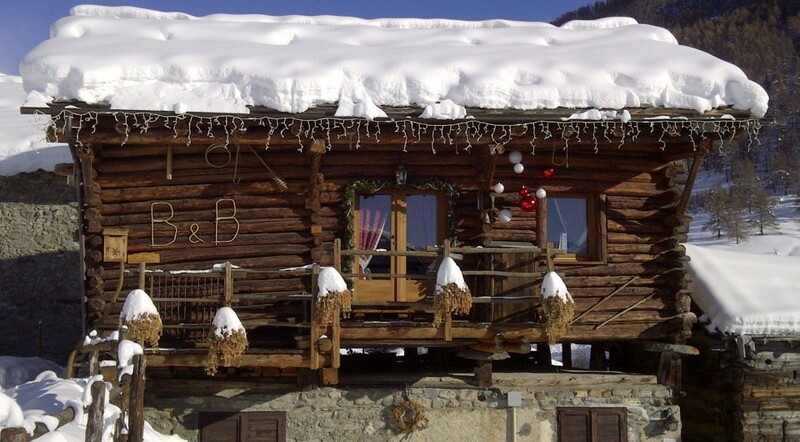 The area is exposed south, facing a vast meadow surrounded by woods and pastures sheltered from the winds and with one of the most temperate climate between the Alps.Becca Trecare, with its 3031 meters, is the highest peak. The town welcomes tourists in the main little square, overlooked by the church of the village, the town hall, the boutiques. 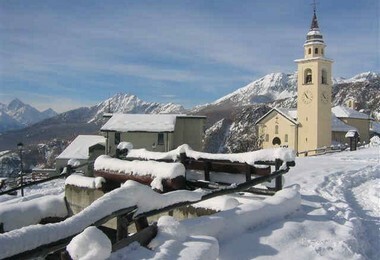 Many trails (covered with snow during winter) branch off from the main square that reach the six villages located throughout the area. The first historical records describe Chamois as a fief of the lords of Challant-Montjovet, which constituted an anomaly, since almost all other communities of Valtournenche belonged to the lords of Challant-Cly, including that of Antey-Saint-Andrè, from which Chamois depended from the ecclesiastical point of view. In July 21, 1681, the bishop of Aosta Albert-Philibert Bailly made Chamois a parish seat, detaching its territory from the church of Antey-Saint-André. The “Chamoisiens” rebuilt and enlarged the existing chapel of Corgnolaz and the new building was consecrated by Bishop Amédée Milliet of Avillars in 1707. The church, rebuilt in 1838, contains a precious Baroque altar of the eighteenth century. In these centuries there were major changes: following the rebuilding of the church, Corgnolaz replaced the village of La Ville (or Grand-Ville) as the country borough of the community, which in 1707 had 320 inhabitants, 386 in 1782 and in 1790 was reduced to 352 people. The second half of the century saw the rise of public schools. Throughout the nineteenth century, popular education spreaded so much that at the beginning of 1900 there were four schools Chamois. Other popular achievements were the foundation of cooperative dairies of Corgnolaz Crépin in 1873 and in 1896 (which still exists) and the construction of the town hall in 1885 (replaced by a new town hall in 1973). While previously the population had been stable, in the second half of the nineteenth century and especially in early twentieth century, the economic crisis that affected Aosta Valley brought about a migration, which shuttered the local social structure: in 1861 only 332 inhabitants were counted, 322 in 1871 and 346 in 1881. The trend did not stop even after World War II, when a rapid improvement of the socioeconomic conditions accelerated the depopulation of the mountain, an ongoing phenomenon. In 1951, 151 people still lived in Chamois, and only 141 in 1961. The resident population is now of 94 people, mostly devoted to tourism and home-building. 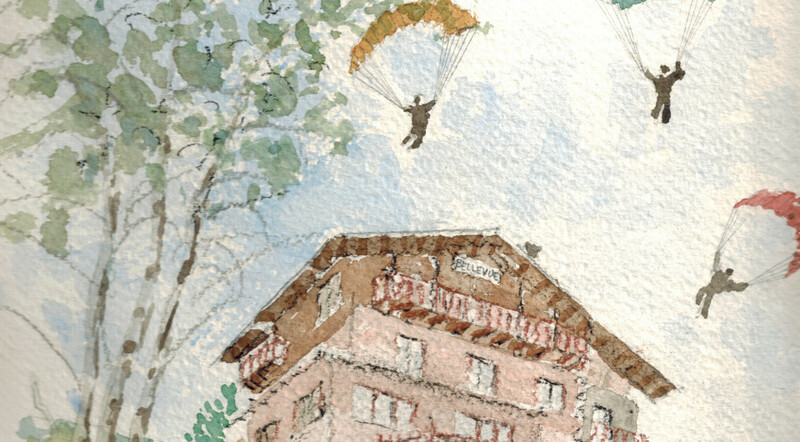 Chamois is the only town in Italy with no carriage roads, thanks to a brave and innovative choice: in 1955 the cableway Buisson-Chamois was finally built, and it still is the only mechanical connection to the valley floor (apart from a altiport built in 1967, first such facility opened in Italy). That decision was then affirmed by three referendums and, thanks to that, Chamois remained a quiet and human-scaled country without any cars. Those pioneers were too ahead of their time, and what today would appear as a courageous choice, was seen more as an oddity. Sweet Mountains will support that choice and is willing to accept the challenge of promoting sustainable tourism, addressing responsible hikers, families, tourists, travelers with bags or backpacks, seeking for a world on a human scale. We want to share the benefits of that innovative choice with those who love to experience sports in the mountains, who can appreciate the ecological and natural treasures, and the historical-architectural attractions (the parish church, a large number of ancient churches and houses – the oldest of which is dated 1654 – the 1834 mill of Crépin, with the annexed curious chapel of the Transfiguration). Since 2006 Chamois-La Magdeleine are partners of Alpine Pearls for soft mobility. Those pioneers were too ahead of their time, and what today would appear as courageous choice, was seen more as an oddity. Sweet Mountains will support that choice and is willing to accept the challenge of promoting sustainable tourism, addressing responsible hikers, families, tourists, backpackers, everyone who is seeking for a world on a human scale.